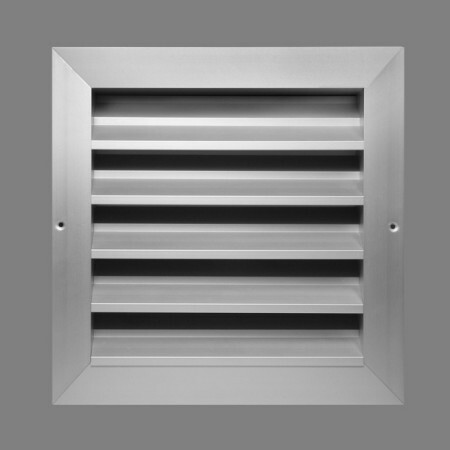 The DXT-A series grilles are designed to take in air from the exterior or to expel used air. The fixed blades, 50 mm pitch, are designed to prevent rain penetration. They are very strongly built and resistant to aggressive climatic conditions, for outdoor installation.